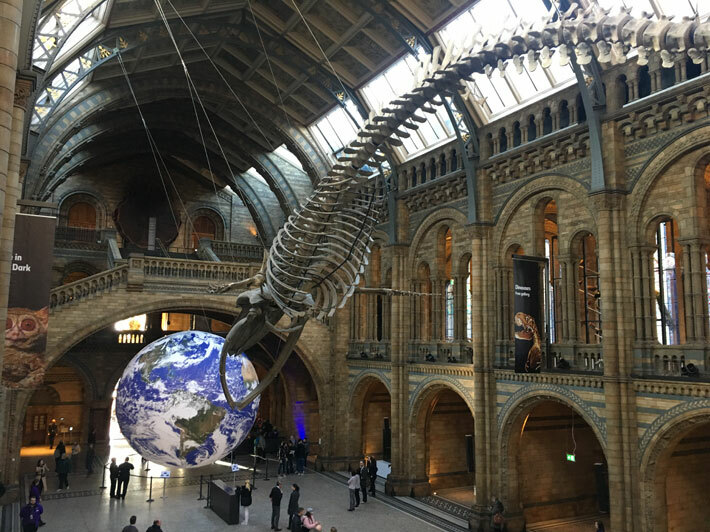 On Friday 30 November and Monday 3 December 2018, Gaia was presented in the Natural History Museum of London. 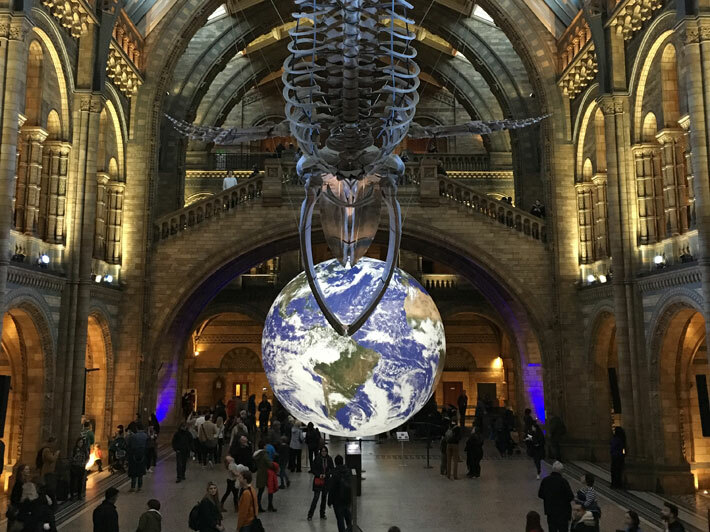 The artwork was displayed to the public in the Hintze Hall, next to a huge skeleton of an ancient whale (called Hope) for an event exploring our relationship with our environment, titled Your Planet Needs You. Art has the power to speak to the heart and mind. We hope Luke’s Earth will inspire audiences to meet the challenges we face on our planet, helping us to work together to deliver solutions. NERC is the biggest funder of environmental science in the UK, and our work doesn’t stop there: we are passionate about bringing environmental science beyond the academic community to everyone, as it affects all of our lives every day, whether that’s understanding how to talk about climate change or playing a part in preventing the devastating impacts of marine plastics. Your Planet Needs You is a unique opportunity to meet with the scientists confronting today’s biggest environmental issues and to engage with ways to tackle these important questions in a fun way. Ultimately, this evening aims to convey a message of hope, united we are making a difference. 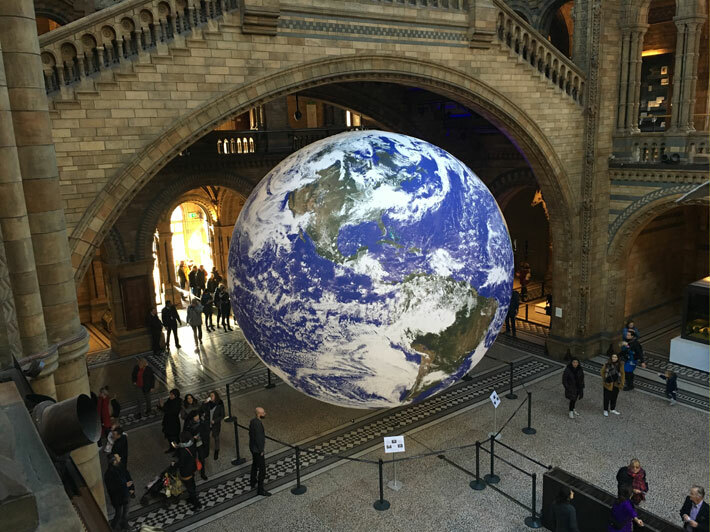 We are thrilled to be hosting Luke Jerram’s Earth as part of our Your Planet Needs You Lates evening in collaboration with NERC. 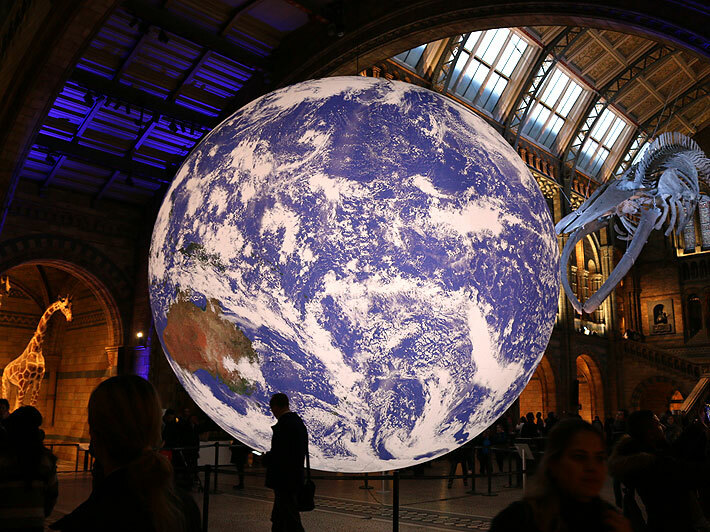 We hope the thought-provoking installation and programme of activities throughout the evening will inspire visitors to engage in crucially important environmental science, reflect on our planet’s future, and to participate in debates about how we can address these together. Only by building our understanding of the natural world will we find a way to protect it for the future. 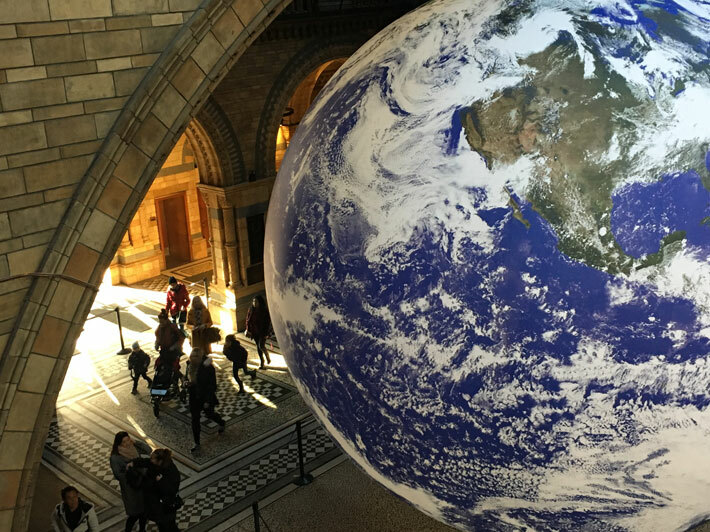 The Natural History Museum is a world-class visitor attraction and leading science research centre in London. Enjoy exhibitions, talks, science demos, food and drinks by night on the last Friday of the month.